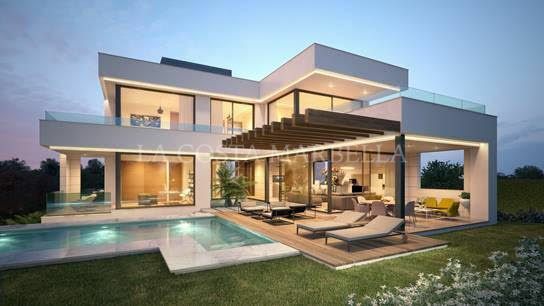 La Costa Marbella is a well-known real estate firm with a long and distinguished track record in the design, construction and sales of property on the Costa del Sol. Founded in 1968, it has earned a name for the quality of its work, from concept and construction to sales, rentals and property management. Our team is made up of experienced professionals who speak many languages, their multinational backgrounds representing both our diverse clientele and the cosmopolitan nature of this beautiful corner of Europe. La Costa Marbella excels as an agency that markets and sells homes, but as architects and developers in our own right we also have a proud list of prestigious Marbella urbanisations to our name, including the likes of La Trinidad, Imara, Greenlife Village, Río Real Playa and Elviria Hills. We are therefore in a perfect position to understand both the product and the client perspective like few others. Combine this with an unrivalled knowledge of the greater Marbella area built up over the past five decades and a love for what makes it such a special part of the world, and it becomes clear why we are rooted in Marbella and enthusiastic to share its unique lifestyle with our clients from across different parts of the world. Please contact us for more information and access to an unequalled selection of the finest homes for sale in Marbella. Welcome to our prime property collection in Marbella, Benahavis, Estepona and Mijas. We offer a very personal service and outstanding local expertise. La Costa Marbella has been designing, developing and building private homes and landmark developments on the Costa del Sol since 1968. At La Costa Marbella service and commitment do not stop after a sale is made. We offer owners peace of mind when it comes to managing all aspects of their property. Start with the right partner. Learn about how we work towards your successful sale.